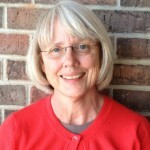 Nancy Carroll, a Licensed Specialist Clinical Social Worker and MSW graduate of University of Kansas, has 17 years experience in the field of teen dating violence prevention. She began as a clinical social worker in a community mental health center where she practiced in-home family therapy and working with local schools teaching healthy relationship skills. For the past 10 years, she served as director of the Wichita DELTA project and director of Start Strong Wichita. Both projects focused on teen dating violence prevention in the Wichita community. Currently, Nancy is a sociology instructor at Emporia State University in Kansas.